Remember all the Pinterest DIY posts on how to redecorate your house all by yourself? You wouldn’t think SEO can fall into these categories. We are so used to thinking that Search Engine Optimization (SEO) is a monstrous creature only to be tamed by professional webmasters and SEO agencies that doing it alone seems like a mission impossible. So what can a startup with limited budgets and resources do to create an SEO strategy without external help? “the process of aligning your website to the standards and recommendations of search engines in order to get increased traffic and visibility from search engine results”. Why SEO Strategy for Startups? Startups tend to prioritise their activities for business development, as they don’t have the capacity to invest in everything at the same time. Thus, SEO often gets disregarded as too long-term effort with no guarantees. But to really understand the value of SEO for your emerging business, you have to be aware of all the advantages it has to offer. After all, startups live and die by their visibility, and SEO is precisely about that. And if you are patient enough to build a concise and thorough SEO strategy, you can achieve all of these goals and become one of the lucky 25% of successful startups who didn’t see their post-mortem within 10 years of the existence. Now when you know exactly why is it that you need SEO, it is time to reveal how exactly you can leverage each area of search engine optimization. But before you get completely frustrated and overwhelmed with the scale of work to do, there is one thing you should know – you don’t have to do it all by yourself. Nobody does. So it is completely up to you whether you’ll choose an all-in-one SEO and digital marketing tool like SEMrush that covers every area of SEO you have to take care of, or you will give your preference to instruments specifically built and designed to solve a particular issue: like Monitor Backlinks for competitor backlink monitoring, LongTailPRO for fetching up a keyword strategy, or Moat for uncovering competitors’ advertising campaigns. SEO for Startups: Which Areas to Focus On? One of the biggest challenges with SEO comes from the fact that it is overwhelmingly diverse and it is often hard to know where to start with and how to follow some logical order. By establishing that order, you’ll see how that challenging task becomes clearer and more feasible. If you want to perform well in the search results, you should always start with your website. There are so many possible errors to watch out for that the sheer amount of mistakes can get you stuck on this step for a very while, but there is no way you can go around it. Internal Links errors. Internal links are very effective for SEO. It’s a strategic approach that helps you let search engines know about the topics you want to build authority for, making it easier for them to see these pages. It also helps improve your rankings for the keywords you are intending to target while engaging the readers for a better user experience. Broken Links can harm your website’s reputation, and hinder the user experience. Google pays some close attention to your internal links, and any broken one can negatively affect your page’s ranking. Duplicate Content issues alert is not what you want to get from analyzing your website. This is one of the most harmful mistakes you can make. Authenticity is what search engines and users are looking for, so it is not up to you to do otherwise. Optimized Content (On-Site SEO) is of paramount importance if you want for your pages to rank highly in the search results. A compelling (but relevant) title will increase the number of visitors to your page. A focus on the page’s formatting will facilitate the crawling for search engines, while it will also turn your content into a smooth read. HTTPS & Mobile. Now “to do or not to do” dilemma for these two areas is simply out of the question. HTTPS protocol is used by the majority of top global companies and is a ranking signal. And when it comes to mobile…well, you simply cannot afford not to have a mobile-friendly website in the world of Mobile First Index. It may sound scary but expert guides will facilitate the job for you. Your rankings get improved not only through on-site optimization but also through the authority gained from external sources (off-page SEO). A startup that is just starting to grow needs all the coverage it can get. The mixture of PR, influencers and backlinks can be incredibly efficient for enhancing your SEO strategy. PR. If you still assume that PR is something your business can do without, you should quickly reconsider that notion. Digital PR (with the help of SEO) helps your startup create a buzz and visibility for your business to gain some solid authority in your niche without the unnecessary waste of resources. Sounds impossible? We don’t think so – here is a how-to on finding PR channels via SEO for small businesses. Influencers. It is not out of the blue that influencers are the shakers and movers of entire industries. Influencer Marketing is a thing and if you can get those opinion leaders to promote your business, consider it half the victory for your promotion strategy. Think like a human, and not like a business – 84 percent of consumers claim that the most trusted and influential source of information about brands, products and companies come from word-of-mouth. And the right influencers have that audience you are desperate for. Backlinks. Now link-building is an entire vast area of SEO. Be it an external publication in an authoritative source, or a mention from some other website, link-building will increase your visibility and, coming from authoritative sources, it will increase your rankings, too. Basically, it can all come down to producing valuable and worthy content that should ideally get promoted by trustworthy and authoritative sources. To learn about all the link-building tips and pitfalls, check SEMrush’s recap of nine ways to make use of link-building. Your biggest challenge is beating your competition. Especially when you are new to the market. There is a lot you can learn from those who have already done their homework. And the best use of competition research is for your keyword and paid advertising strategy. Keyword Research can both help you reveal new content opportunities and improve your already existing content. Knowing what keywords work for your competitors and how much it costs them to target these keywords is crucial. You can create a list of “dream keywords” you’d like to rank for and get rid of those that seem to be too popular, hence, too expensive. 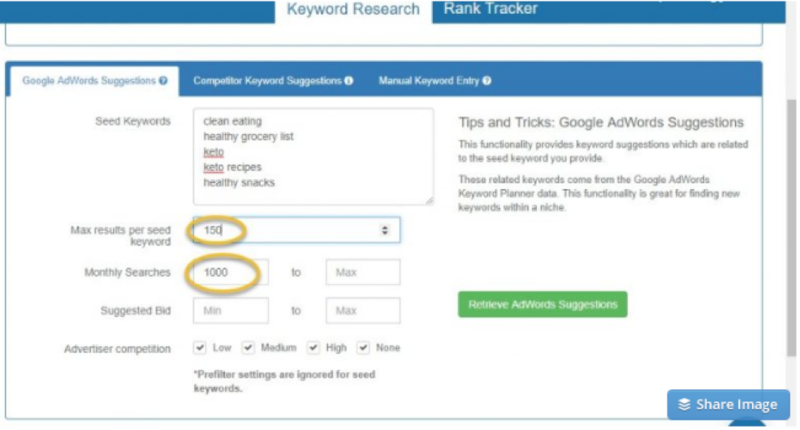 Your competitors are probably ranking for all kind of versions of keywords similar to those you wish to target. so check out how each effort works for them in terms of costs, traffic, clicks, etc. Moreover, shift a particular focus towards long tail keywords that may offer more chances to appear higher in the search results. PPC. With discovering your competitors’ advertising tricks, you can spare yourself from some costly and unnecessary mistakes. Pay-per-click (PPC) is a great channel to instantly boost your visibility but it can also be tricky. Starting with ad copies to ad placements, competitors can teach you a lesson or two. So when you are fetching up your advertising strategy, watch out for your rivals – see what worked for them and take their strategy even further, and make sure you repeat no mistakes. Whether you like it or not, your digital success does not only come from the efforts you invest in your website or digital marketing campaign. In fact, as a startup, appearing in SERP Features can be your best chance to rank among the top players. Google’s featured snippets, or “position zero” on the SERP, offers a great opportunity to get ahead of your competitors in the search results. To grab a “zero position” you have to know how to optimize for it. The basic steps entail creating content that precisely answers a question that might be highlighted in a Features Snippet. You should also pay attention to formatting, the character count and the very way your content is presented on the page you’d like to qualify for the position “zero”. Although it may seem overwhelming and still difficult, SEO has pretty much everything to help your startup grow in the fragile yet crucial early stages of your development. You don’t have to get all technical with SEO at this point, hence, following some basic steps will lead to your brand’s discovery and help you to gain a solid spot in your chosen field.